A YOUNG PATRIOT follows the life experiences of a post-90s young Chinese man, Zhao Changtong, known as Xiao Zhao, from his senior year in high school all the way to the end of his sophomore year in college. 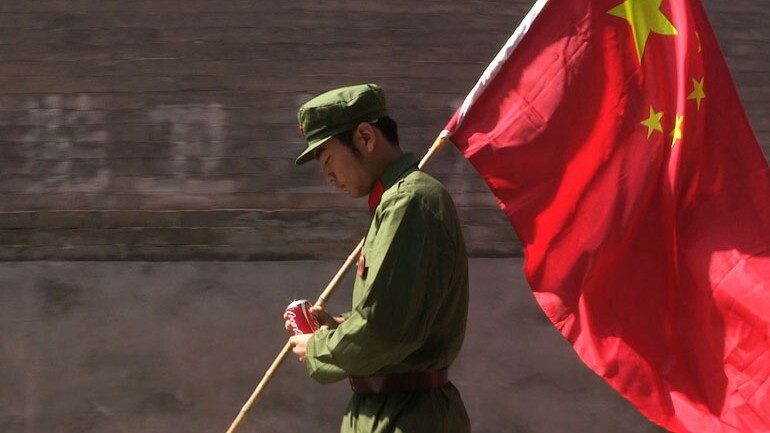 The documentary starts with Zhao Changtong as a 19-year-old boy waving China’s flag and shouting the slogan, “Long live China! Go China” in the streets of Pingyao, the ancient town in the Shanxi province. Then it shows Zhao Changtong as a college student attending school in Chengdu in the Sichuan province and going through the two big experiences of college life: joining the student union, and falling in love. We then follow him as a volunteer teacher in the Liangshan Yi autonomous region, and ultimately back at his hometown hopelessly witnessing the demolition of his family home. A YOUNG PATRIOT records the raw journey of a young man who encounters an emotional and ideological change as he matures during his awakening of the world and the environment around him. In this transition period of change, we witness the restlessness and disturbance the Chinese society is currently undergoing. Through Zhao Changtong, we realize the living conditions of today’s young people in China, what they are thinking about, and how they react to the ever-changing environment. AAIFF’15 marks the U.S. premiere for A YOUNG PATRIOT. 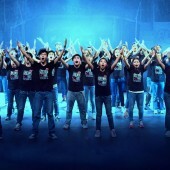 The documentary has also screened at the 39th Hong Kong International Film Festival where it was awarded the Jury Prize.